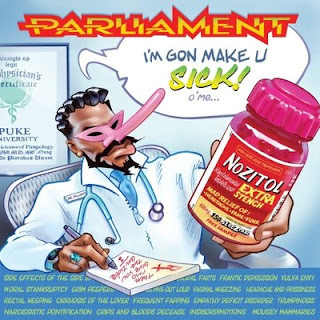 This week, we received a brand new Parliament track, "I'm Gon Make U Sick O' Me", breaking that very, very long drought. The Rock and Roll Hall of Fame band is joined by southern rapper Scarface of the Geto Boys. But that's not all. The group will also be releasing a new album, Medicaid Dog Fraud, although details on a release date are not yet available. Clinton says the album will be about "the pharmaceutical companies, insurance companies, people selling meds".